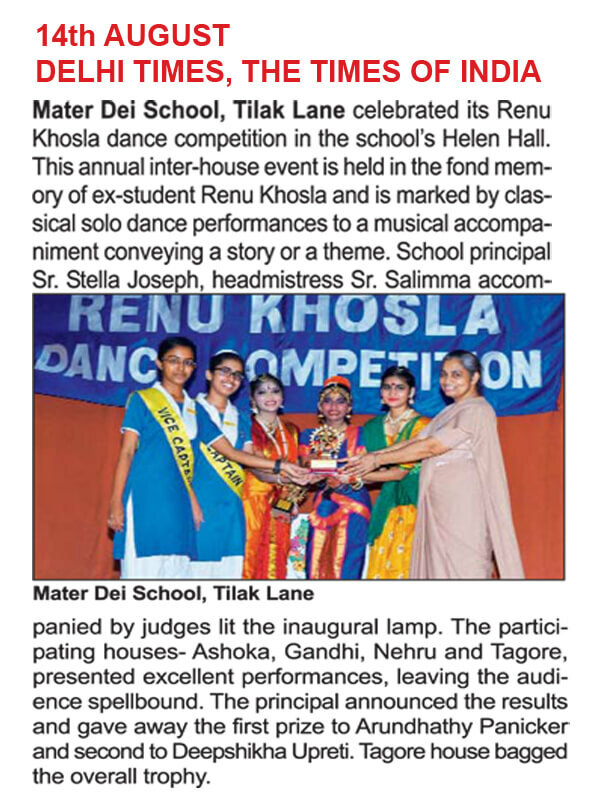 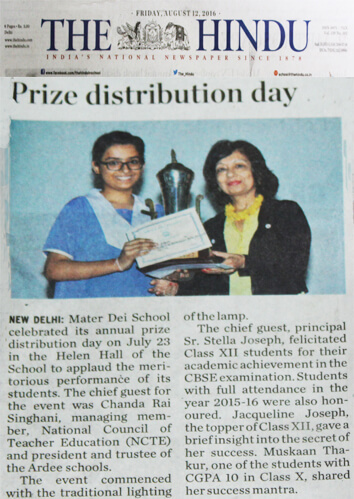 Description: Mater Dei School, Tilak Lane, organised its annual general body meeting in the helen hall. 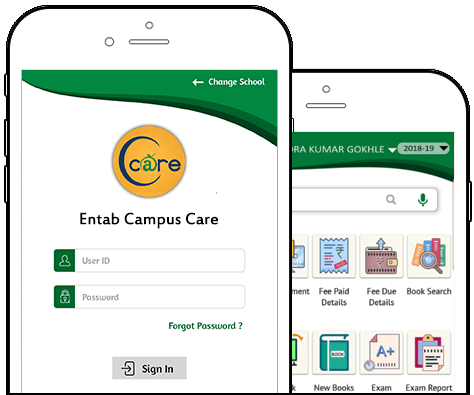 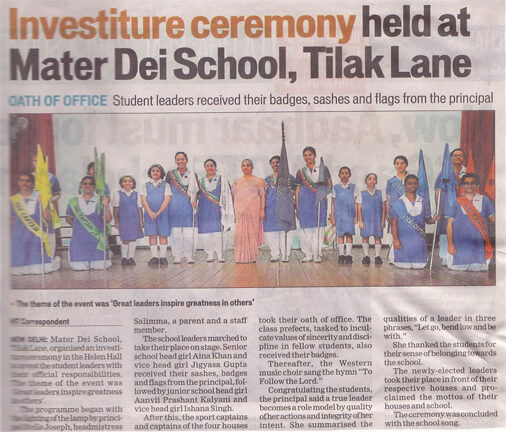 Description: Mater Dei School, Tilak Lane, organised an Investiture Ceremony in the Helen Hall to invest the student leader with their official responsibilities. 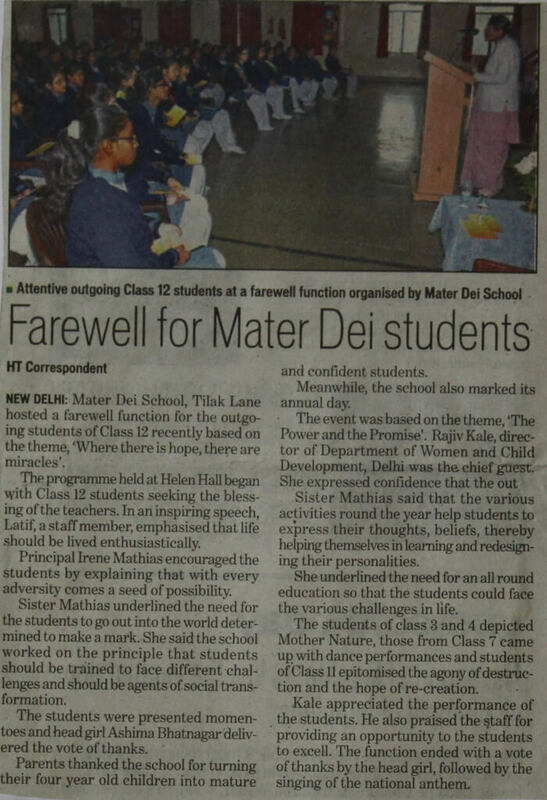 Description: Mater Dei School, Tilak Lane Celebrated the Diamond Jubilee Year with the old students Association (OSAM) at the school premises.